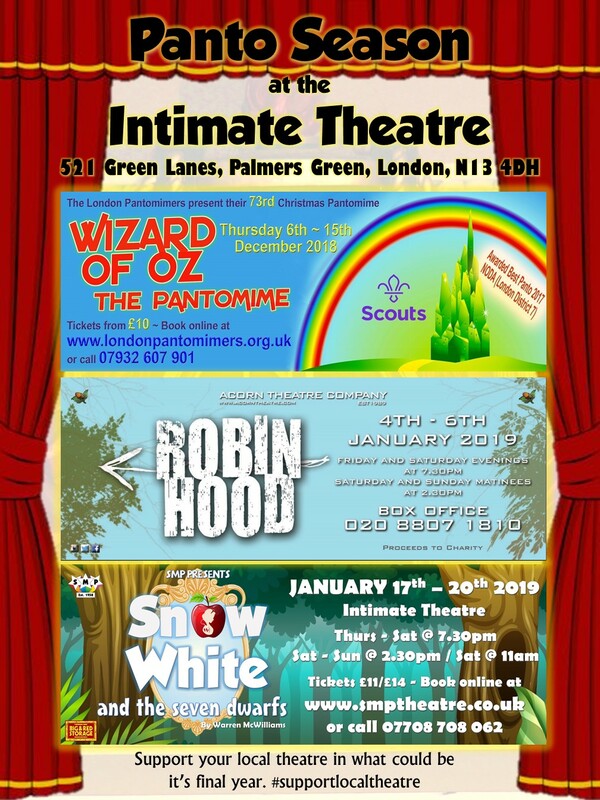 Following on from sensational performances in both Urinetown and Spamalot, it was not a shock to receive a call requesting me to be a part of SMP’s 2019 pantomime, Snow White and the 7 Dwarfs. “Archie,” Director Chris O’Shea said to me in a brief but meaningful phone call, “you don’t need to audition, I have the perfect part in mind for you. I’d like you to help bring to life one of the most cherished and adored moments of the story.” Graciously, I accepted. 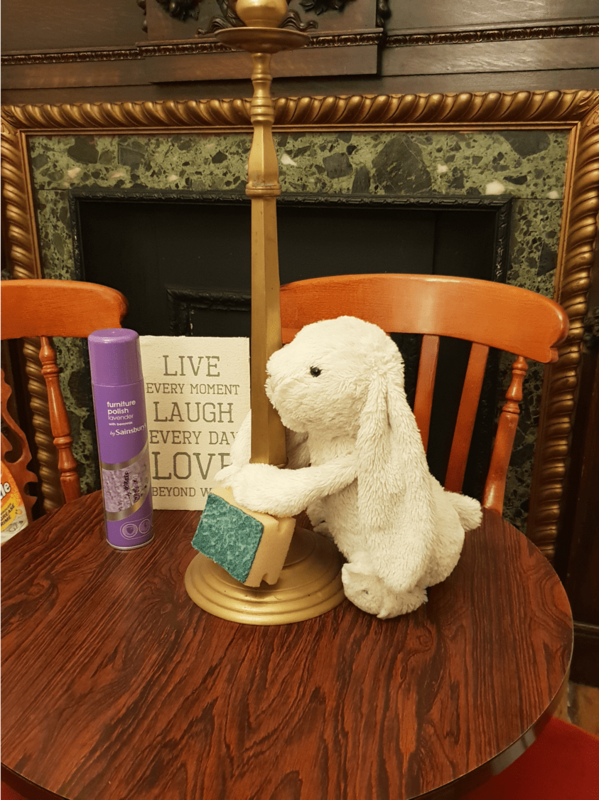 Having proven myself over the last two years, and gained considerable positive publicity for the group, I was excited to find out what challenge would be thrown my way next. I think perhaps I had not prepared myself adequately for just how much whistling-whilst-working would be required for my role. Nevertheless, I entered into the spirit in my usual manner, fully trying to explore what it might be like for a woodland creature whose sole purpose in life is to clean a squalid house belonging to sanitation-apathetic dwarfs. 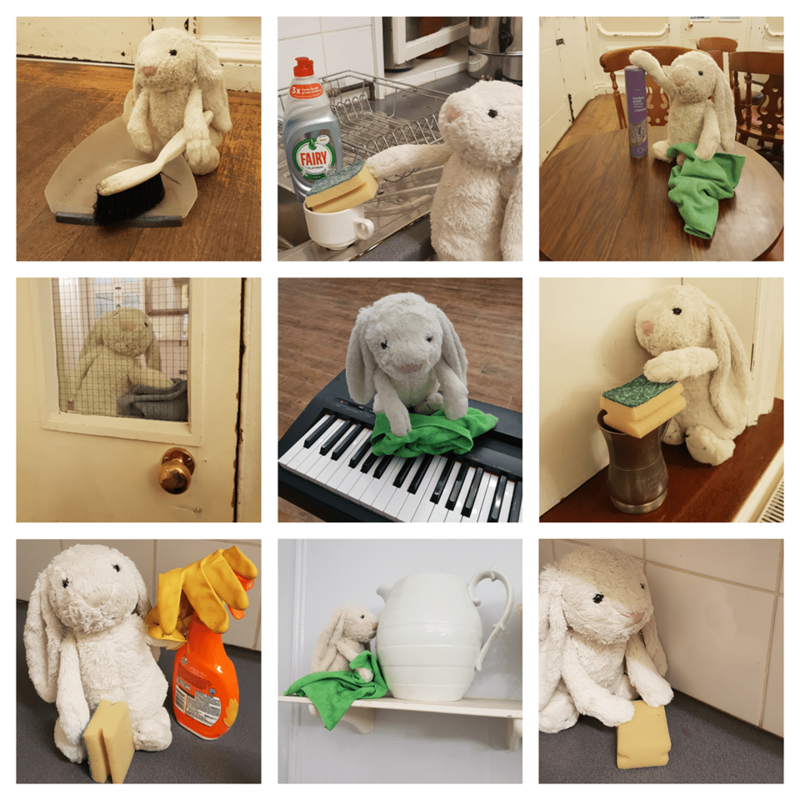 It was a long and arduous process, however I really feel like I’ve developed an in-depth understanding of the character, enabling me to beautifully portray the multi-layered ambivalence this rabbit feels towards his cleaning responsibilities. This was, however, achieved in the first week of the rehearsal process. We are now two months into the schedule, and I am beginning to get increasingly weary of Ellie Ashby incessantly commanding me to clean through the medium of song. I have explained in clear terms to Chris O’Shea that my role needs to be expanded if he wishes to fully take advantage my talents, and he has taken these comments on board with the introduction of new scenes. I have read through the script multiple times, but I am still not sure where my new 45 minute scene of polishing his shoes fits into the overall structure of the piece. We have rehearsed this six times over the course of the last three weeks. 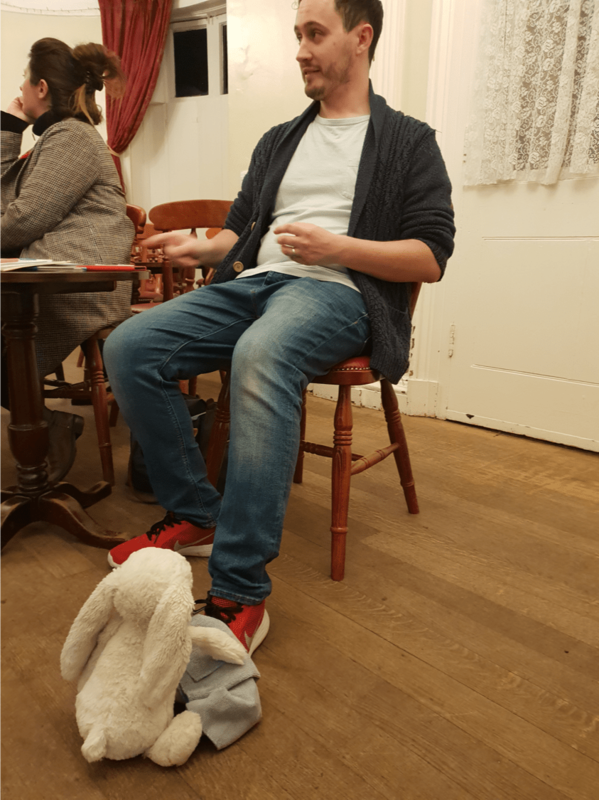 A less trusting rabbit would have grounds to question the director’s motivation, although I have faith that this is part of his vision and that everything will fall into place as the rehearsal process progresses. And so, on to a round up of the events of the week. On Monday, the cast learnt the routine for ‘Diamonds are a Girl’s Best Friend’. I cleaned a candlestick. On Wednesday, the cast learnt the finale number. I polished Chris O’Shea’s shoes. Again. They are trainers. 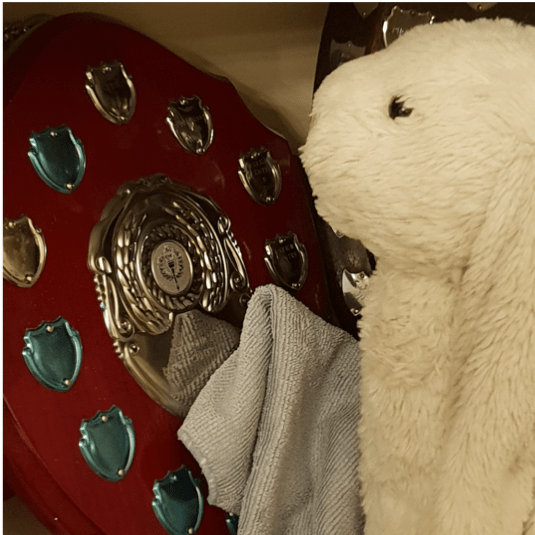 I haven’t the heart to tell him you don’t really polish trainers, as I am decent and kind-hearted rabbit. Also, I really don’t want him to get mad and cut this scene from the show. If I am completely honest, I can’t help but feel that my artistic proficiency is not being fully appreciated in this production. Whilst I have become incredibly accomplished at cleaning Cannon House, I would be better suited for a great number of the roles in the show. For instance, if kept in its current format, the show should really be retitled to “Snow White, the five Dwarfs and the two Giants”. Jenny Storey and John Stivey are both 6ft tall, and clearly not dwarf-sized. I am an actor of petite proportions, and would be much better placed than either of these gigantic imposters to play one of the seven titular dwarfs. Also, I am really beginning to tire of John bringing trophies to rehearsals to make me polish them. Please do come and see the show. I will strive to give my loyal fans the exceptional level of performance they have come to expect despite the material I have been given to work with, however if nothing else, The Intimate Theatre will be really clean. Also, Chris O’Shea will be wearing very shiny shoes.